Why travel to Bhutan with BookMyTour? We are a legally registered tour operator and travel agency in Bhutan certified by the Tourism Council of Bhutan. When you book your tour with us, you can rest assured knowing you will be in good hands. We provide you with the lowest price for your tour with all discounts and promotional fares (if applicable) passed on to you. Our tour prices do not have any hidden charges, making it very transparent. All our trips are meticulously planned and managed by our local travel experts. 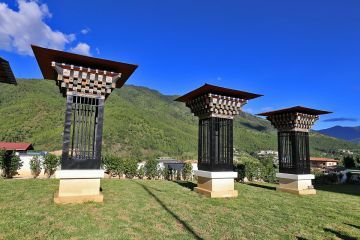 From your tour guide to your accommodations, everything is carefully arranged to provide you the best experience on your tour of Bhutan. Once you are happy with your tour itinerary and cost, you can book your trip using our secure online payment platform. From your dashboard you can upload your documents, review your trip plan, download your visa and correspond with us. For anyone planning a trip to Bhutan contact Sonam at BookMyTour! He will take care of every little detail and ensure you are given the best price possible. We were already planning our next visit to Bhutan before our trip was through.. Thank you Sonam and team for all of your time and effort in ensuring our trip was one to remember! We can’t wait to return in the near future!! 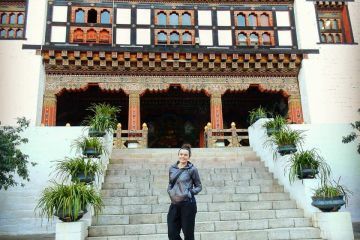 What a wonderful time I had in Bhutan! I really can’t recommend the services of Book My Tour enough. From the moment I contacted Sonam he was nothing but helpful, going to great lengths to tailor a tour to suit my individual needs. I was provided with detailed information and quotes which clearly explained what was included with my tour before making my decision. I can highly recommend entire team from Book My Tour from booking process till end of the trip! We had great contact from the beginning, explaining the programme and flight/visa process. I highly recommend Sonam, Sonam, Dorje. 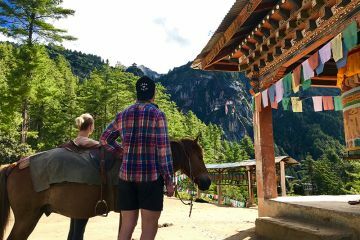 If you are thinking about visiting Bhutan, please, go local to keep the money in country & I cannot recommend BookMyTour highly enough for their efficiency, openness, flexibility, knowledge, guiding skills, driving skills etc. etc. etc. After spending the summer working in Myanmar and traveling around Southeast Asia, I chose to visit the cool mountains of Bhutan with my friend. Throughout the planning process, Sonam created a comfortable interaction. He was extremely helpful, knowledgeable, and adaptable. His adaptability came in handy when we were at risk of losing a day in Bhutan due to travel delays in Myanmar and Thailand. Thanks to his efforts, we were able to arrive in Bhutan with smiles a couple of hours late. 4.9 based on 15 guest reviews. Read more reviews.